With summer quickly approaching, here are some ideas of non-toxic alternative to typical beach/pool gear. First, before heading outside you'll want to find some safe sunscreen. The Enviromental Working Group has created an excellent resource for looking up toxins in a sunscreen you may already have, as well as honing in on the safest one to use. You can find their sunscreen buying guide HERE. 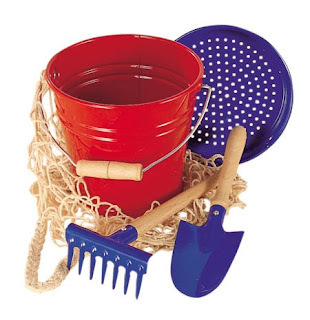 The easiest solution to finding non-toxic beach toys is to look in your cabinets. If you don't have any of these items to spare, there's always thrift stores, yard sales and lastly, you could find them on the cheap at your local discount store like a TJMaxx. 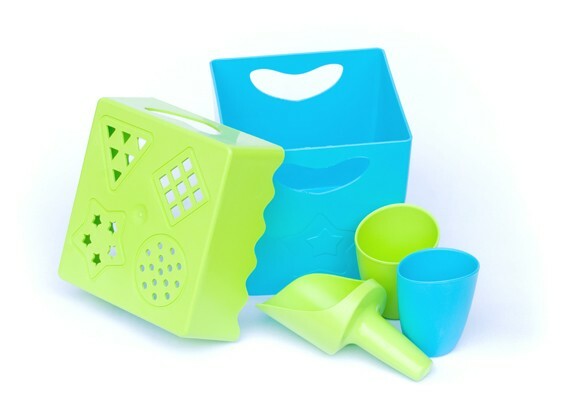 Old small pots make great bucket substitutes, stainless steel spoons, slotted spoons, colanders, flour sifters, measuring cups can all be used for digging, scooping and sifting, and finally, cake molds would be an excellent substitute for sandcastle molds. But for those looking for more traditional options, here are a few. 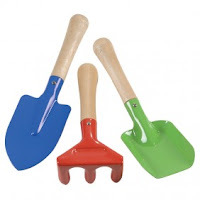 For Small Hands carries small metal pails, as well as hand tools like this shovel and rake set. 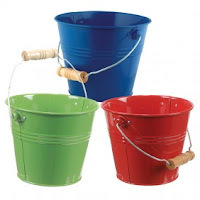 All of these can double for play in the garden. These are made in China. 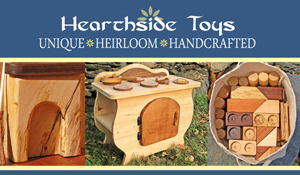 Nova Natural just added a line of sand toys made in Germany! 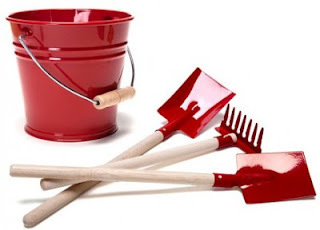 The set includes a 6 x 6.5 inch pail, and shovel, spade and rake with 15" long handles. If bringing metal to the beach isn't your thing, and you're looking for something a little more lightweight, there is another solution. 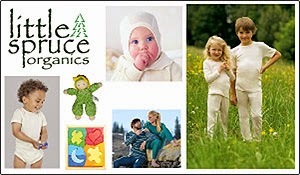 Zoë b Organic makes a corn based plastic toy set, that is biodegradable, toxin free, and made in the USA. According to their site, "if they get accidentally left on the beach and washed out to sea, they’ll completely biodegrade in 2-3 years (same results in fresh water, compost, or buried in soil)." 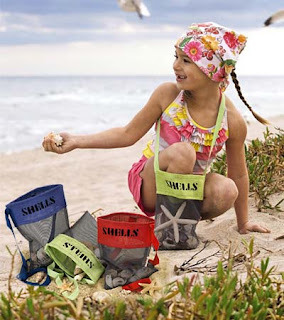 project, but as an avid shell hunter, I think it would make a fun addition to any beach toy collection. We tried a few brands of swim diapers, and AppleCheeks were one of our favorites. 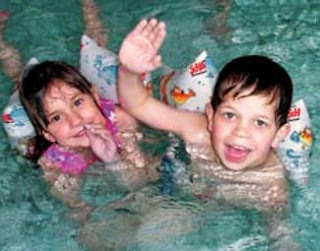 Remember, swim diapers only keep solids in. The AppleCheeks come in two sizes and four colors. Keep in mind without the stuffing these will be larger on the child than a stuffed pocket diaper. 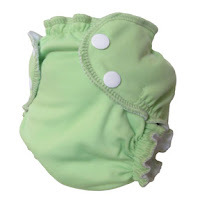 They are available at many cloth diaper retailers, including the AppleCheeks shop in Canada, and in the US, Mom's Milk Boutique carries all colors. Another brand we tried and loved was Bummis. The advantage to Bummis Swimmi diaper is that they also make matching UV tees, tanks and sun hats for those who are interested, and come in lots of different fun prints. 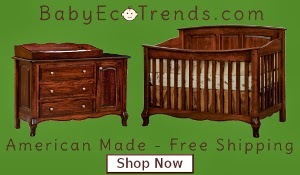 You can find the diapers, as well as the tops and hats at Happy Baby Company. All of the Bummis Sun Line products are made in Canada. Abby's Lane carries Bummis, as well as a few other brands of swim diapers, hats and tops, including Imse Vimse, Mother-Ease and My Swim Baby. Need a cooler for lunch on the beach? 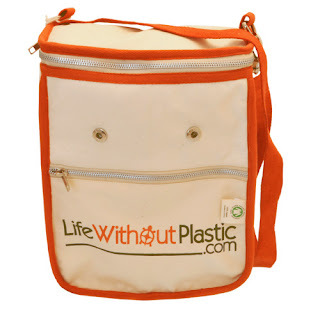 Life Without Plastic has this plastic free wool insulated lunch bag, available in green or orange trim. It is made of 100% certified organic, unbleached cotton canvas, and insulated with wool. 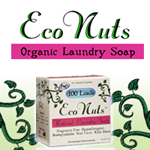 The snap in organic cotton liner can is removeable and washable. 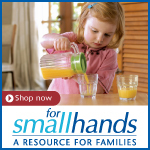 They also have everything you need from water bottles to food containers to make your outing trash free. Since mason jars are freezer safe, a quick, easy way to make non-toxic ice packs is to fill small mason jars part way with water and freeze.